Business documents being submitted to Saudi Arabia are normally attested by the Saudi Embassy in London. We offer a complete attestation service. Hand processing documents we can arrange for the solicitor certification, add the apostille certificate, obtain the Chamber of Commerce stamps and then attest the documents at the Saudi Embassy in London. We handle the entire service. If you need to do business in Saudi Arabia then you have probably been asked to attest documents at the embassy. Whether you are opening a bank account, signing agreements, setting up a new branch or selling goods or services, we can help you with your documents. Our inclusive service takes care of solicitor certification, the UK apostille, Chamber stamps and the embassy attestation. Your documents will be legalised for Saudi Arabia in approximately 10-15 working days. How do we attest documents for Saudi Arabia? The document will be stamped by the Chamber of Commerce and Arab Chamber. 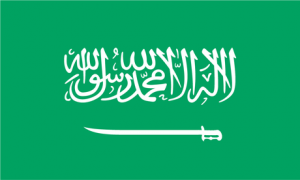 What Does Saudi Attestation Look Like? Attesting documents for Saudi Arabia requires an understanding of working with both the government, the Chamber of Commerce and the embassy. 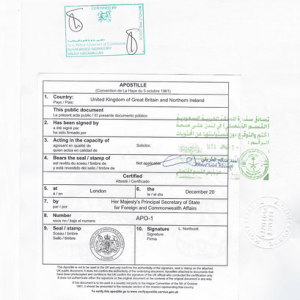 The Saudi Consulate in London only accepts documents that have the UK apostille certificate attached and the correct Chamber stamps. Due to the embassy requirements we are NOT able to assist with personal documents.